July 4th is on a Sunday this year, meaning a long weekend for many and more reason than ever to gather around grilling burgers with family and friends and then throw down blankets for the fireworks show. Don’t forget the bug spray! 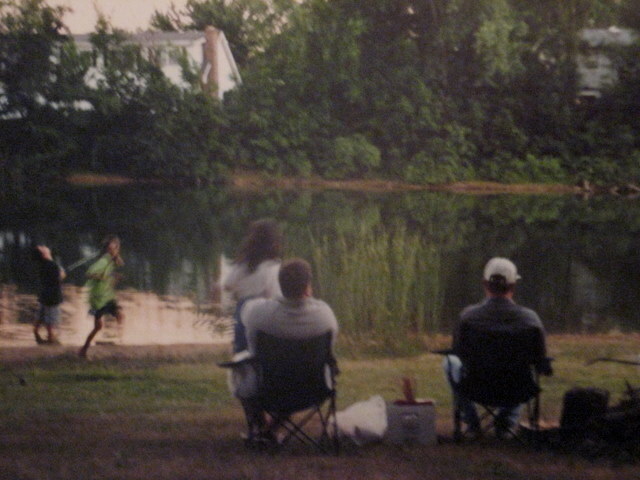 My own extended family will be gathering at the folks’ big place to see how the kids have grown, swim in the lake, roast marshmallows over a bonfire, and set off some of our own fireworks – oops, I mean watch the neighborhood fireworks. For many, the Fourth of July is one of those ritual holidays, where families do the same thing every year, instilling tradition into the next generation. My own kids love the bonfire and the fireworks glowing over the lake (and sometimes IN the lake). I love the gathering outdoors with all the family on my side, whom I rarely see. I love the bullfrogs bellowing in the darkness and the crackling sounds of the fire. I love how this particular holiday lends itself to relaxation, unlike the rush and busyness of Thanksgiving and Christmas. Thank goodness for July 4th, and thank goodness we live in the U.S.A. Despite faults, America is still a great place to live. When writing memoir or life stories, don’t forget the minor holidays. Valentine’s Day, Mother’s or Father’s Day, Memorial Day, even St. Patrick’s Day might have some fun stories or traditions. What do I remember about childhood July 4ths? Dad driving us around in a lot of traffic trying to find a roadside spot to watch the fireworks at the stadium. Once we actually were in the stadium and, boy, those fireworks went so high and were so close that I thought the sparks would surely land on my head. And the booming that blasted through my little body. We won’t talk about my husband’s memories – boys and fireworks are a very volatile mix! Hope you all have a great weekend exploding with fun and memories.